“a Lamp to my feet. a Light for my path.” – Matthew 10:16 | A LAMP TO MY FEET. A LIGHT FOR MY PATH. See, I am sending you out like sheep into the midst of wolves. – not if we resolutely seek to imitate Christ and be meek and humble of heart. He is our mentor, our example – He is the Lamb of God. 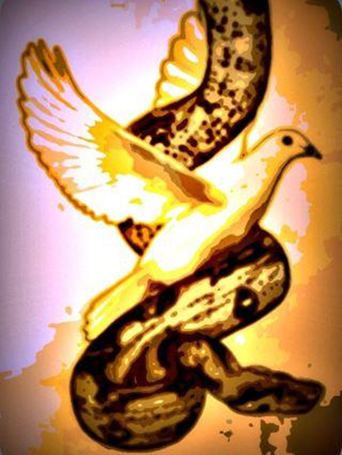 Be wise as serpents and innocent as doves. together in the same sentence when He gives us this instruction. and how we should not. doves are inoffensive, but naive. Christ, of course, wants us to adopt only the positive characteristics of both. It is snakes that have this admirable trait. which are qualities signified by the dove. that I may do Your will and not fall to the ways of the world.